In a series that featured one of the game's most storied rivalries, the New York Mets showed they were the best this season with a convincing series win over the Cubs in the 2015 NL Championship Series. This Best of 7 series win by the Mets returns the franchise to the World Series for the first time since 2000. 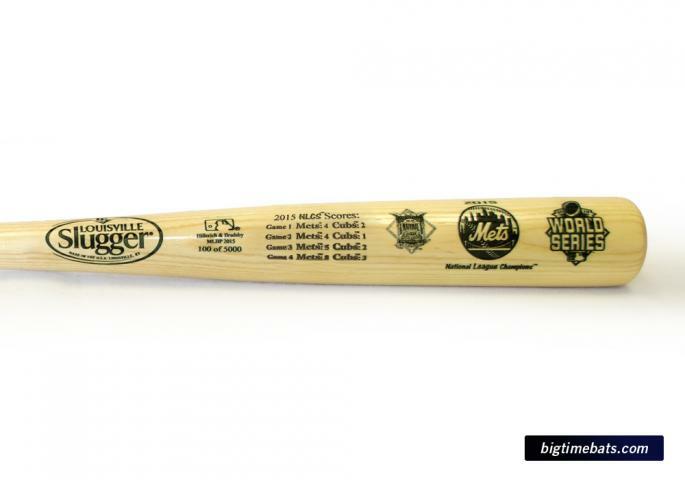 This authentic Louisville Slugger is a full size, laser engraved bat created in celebration of the team's NL Pennant. The score of each NL Championship game is laser engraved on the barrel, along with the team logo, World Series emblem and NL crest. It is a special piece of memorabilia that every Mets fan will want to commemorate this amazing season. 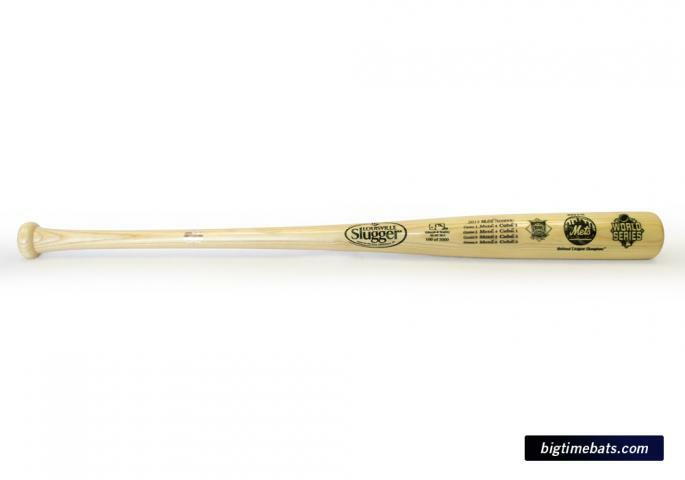 Louisville Slugger is the OFFICIAL BAT OF MAJOR LEAGUE BASEBALL.